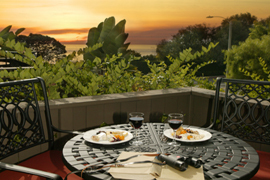 I stayed at Casa Laguna Inn & Spa in Laguna Beach this Christmas Eve, and not to sound corny or anything lol, but it was truly magical. The weather was clear and sunny, in the 70’s. Gotta love California in December. We really lucked out with the weather because we got to see the most beautiful sunset. But regardless of the weather, Casa Laguna is truly heaven. Staying there takes you to another world. It’s quaint, and it has the charm and coziness of a Spanish style mission, lots of greenery and fountains, but it also has a beachy feel with spectacular ocean views. Casa Laguna is definitely on the pricey side, but I think it’s worth to splurge on the good things in life occasionally. I did the Sea and Spa package. It came with a Deluxe Ocean view room and a soak and massage for two. 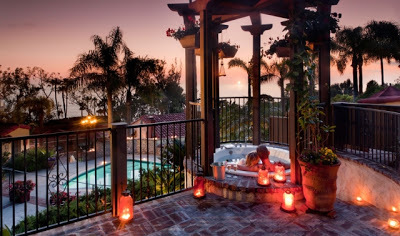 The 45 minute champagne sunset soak is in a secluded private tub elevated on a bluff to see the ocean. We had it perfectly in time for the breathtaking ocean view sunset. We had two one hour massages after our soak which were amazing. The massages were super relaxing and romantic in a beautiful candle lit room. 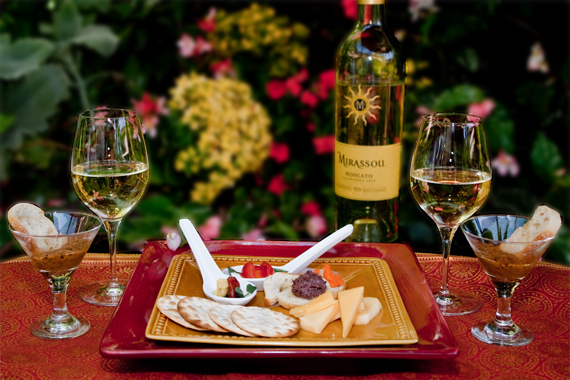 After our massages, Casa Laguna has a complimentary wine and cheese buffet from 5pm-7pm daily. We took our wine and cheese plate to our room and sat in front of our fireplace. It was perfect. 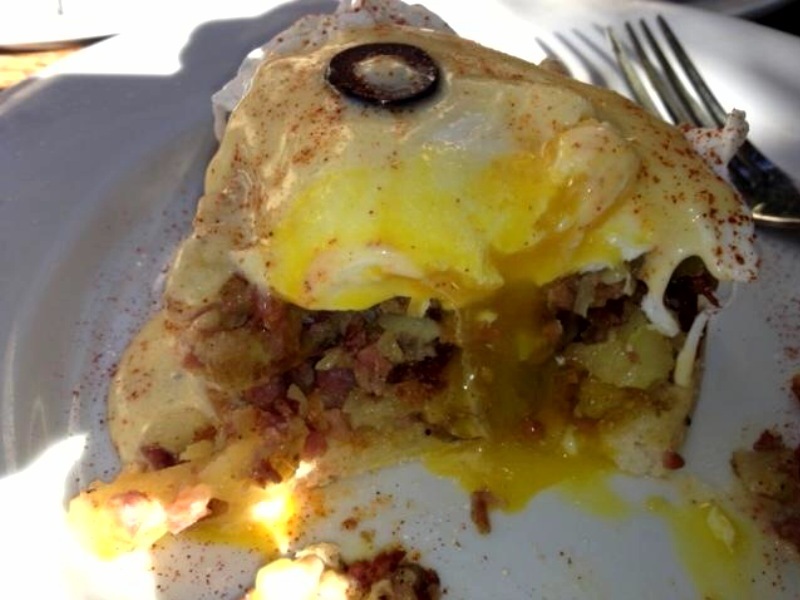 Casa Laguna is known for their award winning breakfast. 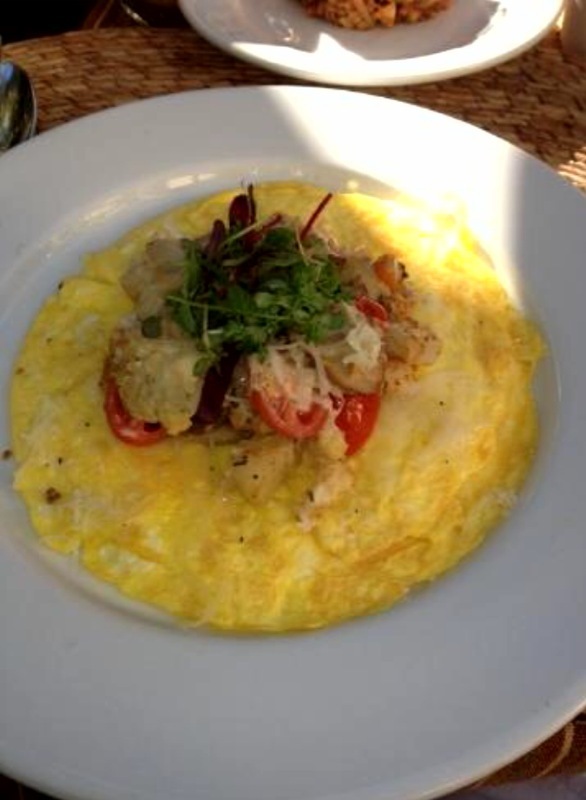 It is included in the price of your stay, and you have a menu of gourmet breakfast dishes to choose from. Casa Laguna is really someplace special. Eveything is 5 stars in my eyes. It is so cozy and relaxing and the perfect quick getaway for any romantic occasion. 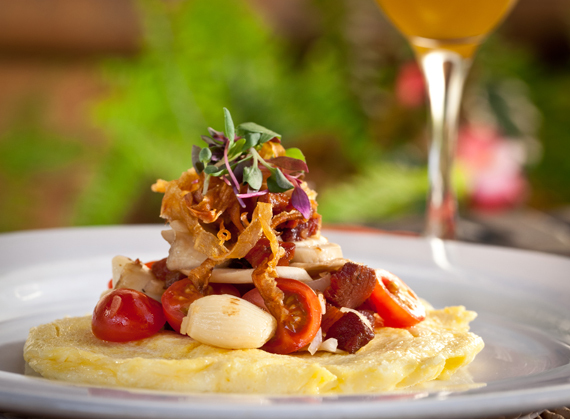 The complimentary gourmet breakfast is great, and the wine and cheese buffet is also a great addition. Our room had the perfect ocean view, and we had a soak tub with jets and a fireplace as well. In the main living room where you check in, they have shelves of DVD’S to choose from if you want to cozy up in front of the fireplace in your room and watch a movie. 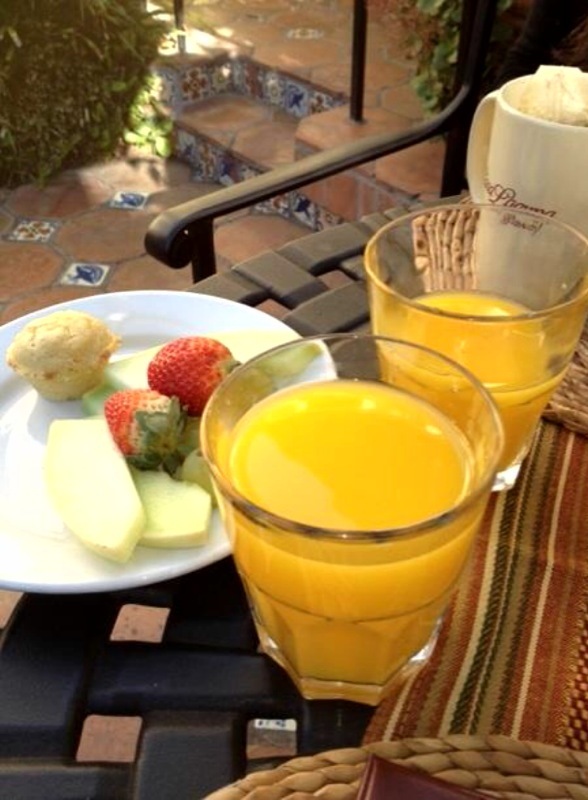 At Casa Laguna you don’t feel like you have to do anything but just be. It’s the perfect place for total relaxation. I highly recommend a Deluxe Ocean view room or the Sea & Spa Package which includes the Deluxe Ocean room with a soak and massage included for two. Check out their website for more info and photos below. Enjoy!